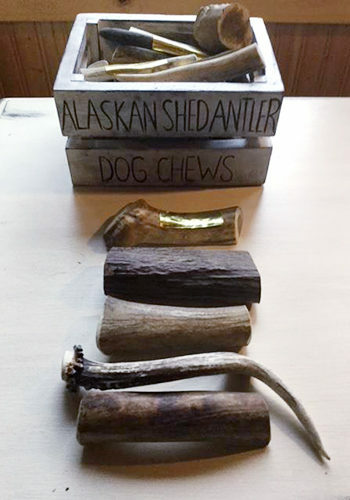 Real Alaskan Shed Antler Dog Chews. Made from the shed antlers of Moose, Caribou, and Deer. 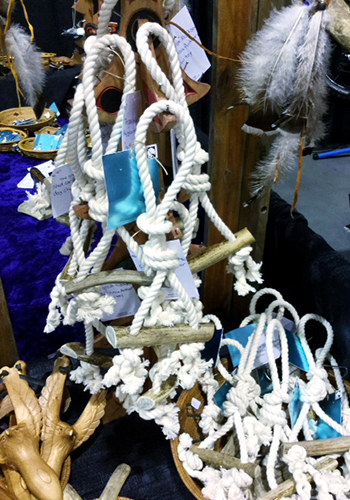 The Ropes are made from 100% Organic Cotton. A healthy toy for your best friend. Looking for a safe and healthy Antler Dog Chew Toys, then look no further than Alaskan Reflections. Alaskan Reflections has the best Antler Dog Chew Toys. This is because we use only the best materials in the production of our Canine Products. Made from real Antlers these Dog Chew toys are full of vital minerals that your dog to needs to live a happy healthy life. our canine friends deserve the best. Shed Antler Dog Chew Toys are a healthy treat that your dogs will be barking about for years to come. Our Canine products are made from the shed antlers of Moose, Caribou, and Deer. The Ropes are made from 100% Organic Cotton. In all honesty, it is our commitment to using only the best ingredients that make this such a healthy toy for your best friend. In Summary, if you are looking for a healthy treat for your canine companion. You have come to the right place. Therefore if you are looking for a safe and healthy Antler Dog Chew, then look no further than Alaskan Reflections. Alaskan Reflections has the best Antler Dog Chews. This is because we use only the best materials in the production of our Antler Dog chews. 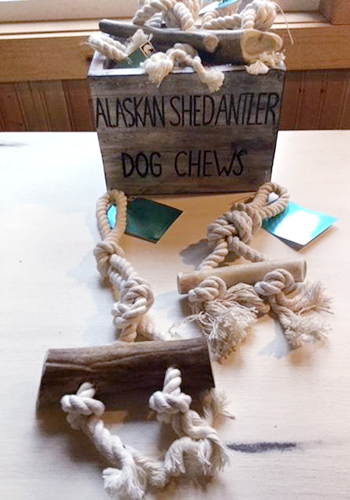 Made from real Antlers these Dog Chews are full of vital minerals that your dog to needs to live a happy healthy life. Real Alaskan Shed Antler Dog Chew Toys. To be honest most of us who own dogs, consider them to be members of the family. If you are like me, you want the best for your family. Dogs require chew toys to help them maintain proper dental hygiene. to summarize, chewing antlers is excellent for dogs in many ways. First off antler chew toys helps dogs keep their teeth clean. As a result your dogs health is improved. Secondly your best friend will expend some much needed energy chewing on these forever. Finally Antler chews are also full of minerals and nutrients such as calcium that help your dog maintain a healthy lifestyle.